Operating as a Cellar Door we’ve created an energetic and sociable environment to enjoy our wines. Whilst our wines are avant-garde we still only use grapes from our own family estate in Pokolbin and believe in a 100% Hunter Valley production, paying homage to our rich heritage. Our approach to wine tasting incorporates the food and wine lifestyle because let’s face it; wine is made better with food and friends. However, we aren’t a café or restaurant. 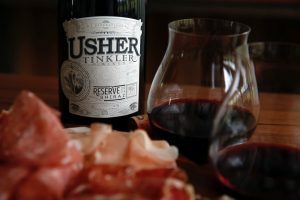 We offer a selection of salumi and cheese to heighten your wine tasting experience. Wine tastings operate from 10:00am to 5:00pm, there is a $5.00 wine tasting fee per person redeemable on any per person wine purchase. Salumi and cheese plates are available from 10:30am to 2:30pm. To avoid disappointment we recommend that you make a booking, particularly on weekends. Please note that we cannot accept groups of more then 10 people.